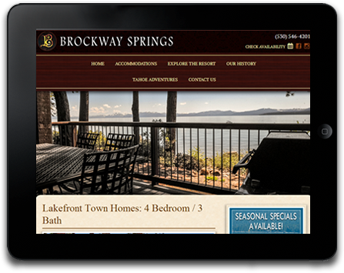 Beautifully designed custom Web Sites using cutting edge web technologies and coded with sustainability in mind. Rebuilding your web site every couple of years is costly, stressful, and unnecessary expense. Perhaps the software & plugins that run your site were not kept up to date, resulting in it ultimately crashing, or being invaded by a savvy hacker searching for vulnerabilities. Maybe you paid for what you thought was a custom web site, only to find out it was one of the thousands of cheap, cookie-cutter templates available for download that was tweaked beyond on recognition, making it difficult to extend or support. Or, perhaps you have a custom web site you absolutely love, but the author of the site is no longer supporting it and/or has made it difficult for you to manage by yourself. That’s where we come in. 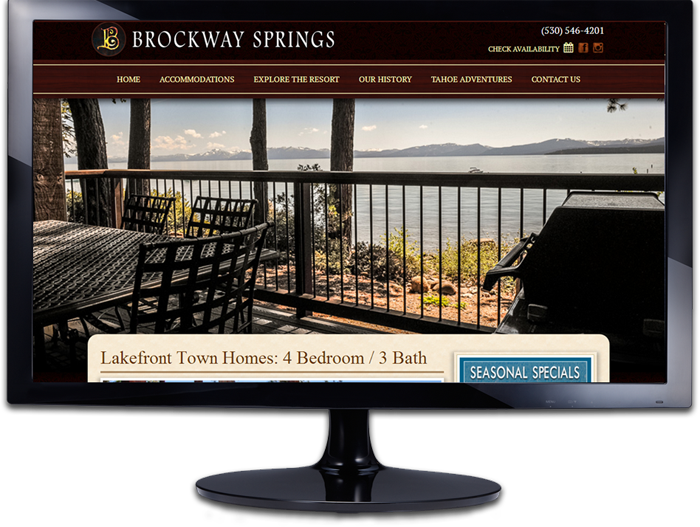 Tahoe Web Company web sites are 100% custom (zero templates used, BUT we can make almost any template fully custom) and 100% responsive on all devices. Each site is coded with the latest coding standards and supercharged with a variety of plugins and modifications. Our Sustainable Web Design packages range from something small to get you started, up to handling projects as extensive and complex as you desire. All up to you! We will build your new site with the latest technologies all while keeping the software and content up-to-date with one of our Sustainable Web Service packages. Furthermore, we will even help you manage the web site yourself. Martis Valley is an easily accessible location great for casual hiking, fishing, and viewing the high peaks surrounding the valley. A great place to start for those new to the Lake Tahoe area. ‘The Downhill’ Sustainable Service Package included for the 1st year! Starting at $99/month for 12 months (paid quarterly). Save 10% off the total if paid in full. The Brockway Fire Lookout is an intermediate hike with rewarding, beautiful views of the Lake Tahoe Basin and the surrounding peaks still yet for you to climb. Starting at $199/month for 12 months (paid quarterly). 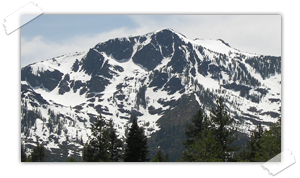 Mount Tallac is one of the highest peaks in the Lake Tahoe Basin. 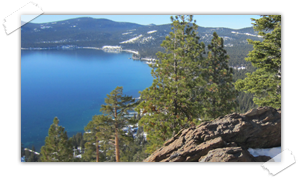 This all-day hike is strenuous and challenging, but upon reaching the summit, you will be overwhelmed with the satisfaction of accomplishing one of the most difficult feats in the Tahoe Basin. Starting at $399/month for 12 months (paid quarterly). Rest assured that your web site’s software will remain up to date, secure, and backed-up. Keep the web site’s content fresh by updating it both on your own and with expert assistance. Avoid expensive web development hourly rates by choosing a package that suits your ongoing needs. All of our packages include web hosting and email, web security, web site software support, and daily backups. You can update the content of your web site using the web site content editor and/or by using a ‘Lifeline’ for assistance. A ‘Lifeline’ is one half hour of work for any service. It can be used for design work, development work, or even simple content editing. The decision is yours! You can control as much as you want to keep your web site’s content fresh, all the while knowing you have expert support in the event that you need it. PLUS, by having ‘Lifelines’ in reserve each month, you can avoid the typically expensive hourly rates typical of web development. What package should you choose? If you feel your web site is running smoothly and you have your content updates under control, choose ‘The Float.’ If your web site is in regular need of updates (e.g. specials, blog posts, graphic design, product updates, etc.) and you need assistance to keep up, then choose either our ‘Downhill’ or ‘Big Hike’ packages. 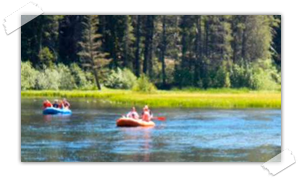 The Truckee River Float is among the most popular recreational summer activities in Lake Tahoe. Hop on a raft/tube, kick back, relax, and lazily float the 5 mile stretch without a care in the world. $59/month for 12 months (paid quarterly). Save 10% off the total if paid annually. 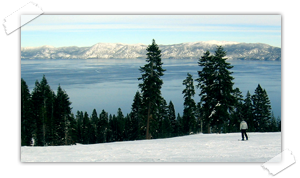 Lake Tahoe downhill skiing is among the most stimulating experiences in the world with spectacular views and exhilarating descents. The ski lifts take you wherever you want to go, but it’s up to you to choose your path down the mountain. $99/month for 12 months (paid quarterly). Save 15% off the total if paid annually. 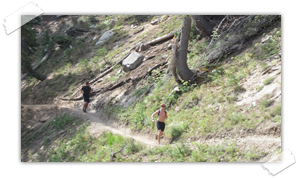 The Tahoe Rim Trail is over 165 miles long with tens of thousands of feet in elevation gain. You can attempt to complete the trail all at once, or take it in stride and tackle one leg at a time. Either way, the journey will be long and and enjoyable, and the rewards will be worth it. $199/month for 12 months (paid quarterly). Save 20% off the total if paid annually.